Last week, I wrote about a Facebook page I stumbled upon, an "I Hate ..." page that was miserable and nasty in its intent to hurt and demean a child. After reading a comment on my post as well as a post on Silicon Valley Moms Blog, I found out that this "club" was created by Palo Alto high school students looking to bully a middle-schooler. Apparently these high school students didn't even know this kid when they decided to create a page devoted to hurting him. Not that it matters. It's still horrific and nasty. As fun and addictive as Facebook is, it's too bad that it has become one more medium through which children (and adults) can hurt each other. The fact that this kind of stuff still happens after the MySpace hoax is mind-boggling. Of course kids have been bullying each other since the beginning of time, and I'm sure it won't stop anytime soon. As a parent, though, I'm terrified that this is what my child has to look forward to once she enters the classroom. And God forbid, she engage in this behavior herself. 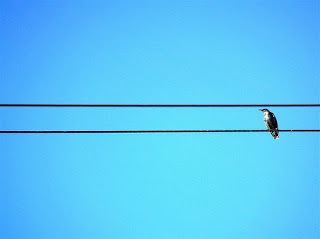 My friend Vanessa over at Little Gray Pixel is giving away an 8x10 print, in metallic finish, of her amazing "Bird on a Wire" photo. I've had my eye on this pic since the moment I saw it. Very crisp, very blue and very minimalist. A few of my favorite things. Here's the link, and also visit her Etsy store. Always happy to show my fellow bloggers some love. Good luck! Oh, no! The light's not so great, but CC's cuteness will not be overshadowed by her mother's questionable cinematography. Today CC and I hit the La Brea Tar Pits and George C. Page Museum. You might have already read in the L.A. Times or elsewhere, but if you haven't here's the lowdown: While digging around an underground garage at the former May Co. at Fairfax and Wilshire, workers unearthed "the largest known cache of fossils from the last ice age," including those of a Columbian mammoth (the woolly variety) researchers have now named Zed. So where else could we have possibly gone this weekend? Especially with the hubs visiting fam in Florida? That's right. Zed may be dead, baby, but CC and I got to check out at least a few parts of the formerly woolly guy. If you're in L.A. and haven't visited, it's definitely worth the trip. In addition to eyeing this unexpected find, kids and adults can roam around the museum, which features prehistoric fossils and assembled skeletons of mammoths, sloths and saber-toothed cats. While Twittering and Facebooking this afternoon (I'm @la_story, btw), I came across a couple of videos. First, one of my Twitter peeps, musician Chris Blake, posted a video for his song "Lullaby." On Twitter, he wrote, "For the mommies and daddies." Don't know if I'm extra weepy today or what, but I'm loving this song. Facebook, however, (which, yes, I just joined yesterday and feel like I just now discovered the VCR) introduced me to something else entirely. I stumbled across a group called I Hate ... (Name Withheld). Who dat? I thought to myself. Also, that sounds kinda mean. What could (Name Withheld) have possibly done to draw so much FB ire? I mean, he's a kid. UPDATE: After reading more about the Facebook situation, I've decided to delete this child's name from my post. I made the wrong decision by including it in my blog. If a tree falls in Inglewood, kids, run! Fast! Yesterday my friend Kathy from work (who blogs at Variety.com's Season Pass) gave me a City of Inglewood Tree Maintenance Notice. At first I was a little perplexed. Why the heck would I need this? As a general rule, I'm not too concerned about the tree maintenance habits of other L.A. neighborhoods. But then I read it. It's hilarious. "Additionally, due to the hazard of falling limbs, we ask that you clear your front yard of cars, furniture and other valuables (especially children) during the pruning operation." Especially children?! And in parentheses?! Thanks for including them, too, City of Inglewood. Glad your first concerns were the random lawn cars and furniture set out for trash pickup. Oh yeah, and the kids should get out of the way, too. City of Inglewood, I think someone (read: you) really needs to go to sensitivity training. Maybe there's a door notice for that too. 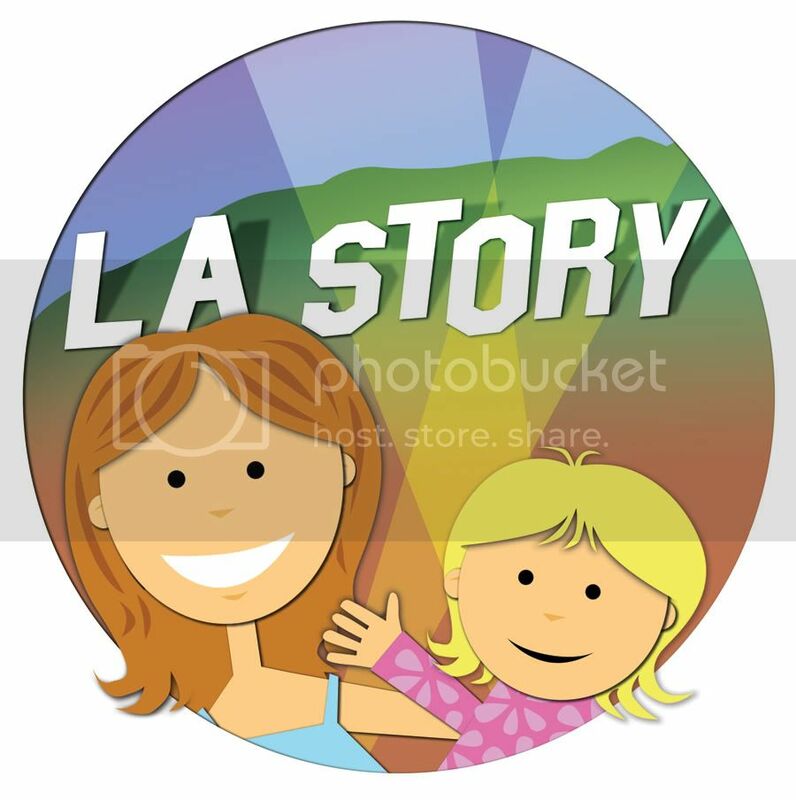 I'd like to give a big thank you to Ask Baby Kid, a mom-blogging site that profiled L.A. Story here. Ask Baby Kid provides great tips for moms and bloggers, and its sister sites Cool Baby Kid and Smart Baby Kid offer reviews on products designed for tykes. What a surprise! C's former nanny, Stephani, arrived back in the States and came by to see her favorite little Angeleno on Valentine's Day. It was an adorable reunion. Stephani reconnected with C, who was a little wary at first. It's been about four months, after all, and in toddler time, that must be like years. I wondered how C would react. She eventually came around ... after presents and hugs and playtime. I was even more curious when Stephani started speaking Spanish to her, which she did all the time when she was here. C stopped and stared at her. I could see the wheels turning, that she was trying to process what she was hearing and wasn't quite sure what to make of it. I loved that Stephani spoke Spanish to her. I fantasized about having a bilingual baby who could translate even the basics to her parents. But ever since she's been hearing only one language around the house, I can tell that she's been saying more words. In English, of course. And faster. I'd heard that children are slower to start talking if they hear more than one language. Maybe that was the case. And even though I'd love to hear her rattle off something to Stephani that's completely unintelligible to me, what I love more is hearing her screaming "I've got you!" (a garbled variation, that is) as she chases me from room to room. That, I totally get. 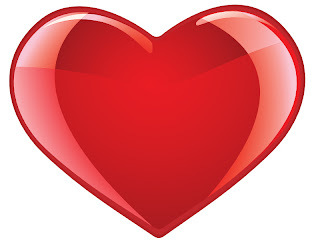 Wishing you and yours a loving, chocolate-filled Valentine's Day! I know I'm a little late to the party on this one. But I had to post it. Yesterday, there was a gorgeous rainbow that you could see perfectly from our windows on the 30th floor at Variety. Everyone pressed their noses to the glass, some wondering where it began and where it ended. This photo is courtesy of my friend Sara, who managed a great panorama from a couple shots. 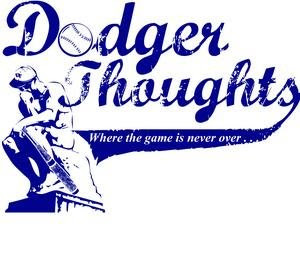 You can see other views on Mike Schneider's Franklin Avenue post and Jon Weisman's Dodger Thoughts entry. Looks like someone near the Miracle Mile got pretty lucky ... or maybe just ended up with a pot of something that was magically delicious. This weekend, C and I headed to Sesame Street Presents: The Body at Hollywood & Highland. Luckily for me, this was nothing like the now-infamous Body Worlds experience I had a few years ago. No, there was no danger of me fainting at this child's-eye view of the human body. There was only a tantrum, courtesy of my little cookie monster -- and, if I could will myself to faint, I might have actually exercised that option. The exhibit itself is geared toward young children who are not afraid to explore. N ot only is it extremely kid-friendly -- something you'd probably already expect from Sesame Street -- but it's also interactive and unruffled by kids actually being kids. Lots of touching. Lots of running. Lots of yelling. OK, the yelling part might have been just me. We had barely walked in before C was off and running. "Hold on. I'll be right back," I promised the attendant. "Just have to lasso my child." 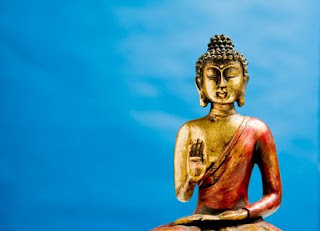 She smiled knowingly as if to say: Been there, heard that. Bought the Baby T with Snuffaluffagus on the front. C's first stop, after we were both properly wrist-banded: the playground. 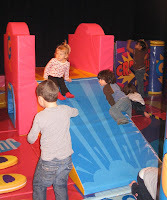 There is a corner of the exhibit that features a heavily padded play area, complete with slide, steps and zigzag doors. If children aren't wooed by the sneezing nose or poo machine -- yes, there is a poo machine -- there's always just plain running around. It's a thoughtful concept. Now those two machines I just mentioned are part of the respiratory and digestive system areas, respectively. Not only can you pull a slot-machine-like handle to intentionally irritate a giant nose, you can also turn a crank to see how acid is churned in the stomach. There's even a witty musical organ, whose keys represent various body organs, natch. As you can see in the video above, if you turn your head, C was rocking out to the kidney and the large intestines. Who wouldn't, really? I won't spoil it all. There's lots to see. Even the piece de resistance -- Elmo. Big, furry, red Elmo. Or as C calls him: "Memo!" Insert tantrum here. Sometimes children do not like to wait in line. OK, I don't like to wait in line, either. But C has this magical way of turning the waiting game into a Shakespearean death scene. There's wailing, tears, falling on the floor and the general attitude that life is just about to end. That is, if she doesn't see Elmo, like, 5 minutes ago. "Memo! Memo!" she how led. But I hung in there. I wanted to take her out of the line and say forget it. Too bad. You don't get to see Elmo if you keep acting like this. But you know what, I waited while my child re-enacted Hamlet's death throes at Hollywood & Highland. And once we got to Elmo, well the only photo I got was of her looking away. But I made sure she was sitting there and that she got hugged, dammit. Granted, Elmo may have looked a little shell-shocked himself. But it was worth it. I had the great occasion of talking to former "Saturday Night Live" star Amy Poehler at the after-party of new musical Minsky's Friday night. She was lovely and was there, no doubt, to cheer on her fellow "SNL" peep Rachel Dratch, who has a hilarious role in the show. I wanted to know more about Poehler's video series Smart Girls at the Party, which I had blogged about in November. She assured me there's more to come and was very enthusiastic about the project. "Soon," she said. And I have to admit, I'm pretty excited. If you don't know the series, Amy interviews girls who are active in projects like writing, dancing and even feminism. 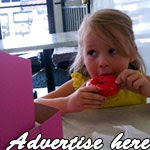 Having a daughter myself, it's really nice to see women -- famous women -- who want to shine a spotlight on young girls. Looking forward to what's next. In the meantime, if you haven't seen the videos, which I originally found on Mommy Track'd, you can find them at On Networks. And if you haven't seen Minsky's, which is downright fun, I'd get a ticket quick -- while it's still in Los Angeles. What is "Octuplet Mom" thinking? Seriously. To tell you the truth, I haven't wanted to touch this story with a 10-foot-pole. If only because, at least in the beginning, I thought it's a mother's/family's business as to how many kids they decide to have. Not mine. However, as details of the now-famous "Octuplet Mom" emerge, the story becomes less about how great it is that these multiple births (and a bonus baby) survived and more about, What the heck was this woman thinking? What were her doctors thinking? Who's going to pay for this? And, yes they survived, but what will their quality of life be -- for all 14 of those children ages 7 and younger? Yes, it still may be none of my business in the end (even as a California taxpayer who might be helping to foot the bill). But, honestly, it's hard taking care of one toddler. I can't imagine the demands of eight newborns in addition to six other kids who also need their parents. Nadya Suleman claims, as you can see in the NBC "Today" video above, that she wants to be a mother who can spend quality time with all her children. And she's hoping to support them once she has her master's degree. Well, doesn't she kinda need to support them now? And who's going to take care of them once she goes to school? And once she's out in the workforce? The parents she now lives with? When does quality time get sacrificed for just plain providing -- something parents of fewer than 14 kids worry about every day? And don't even get me started on the ethics of the doctors who implanted six embryos in a young woman who already had six children and no job. I'm honestly baffled. In the beginning, I was amazed by the medical science that allowed eight babies to be delivered (with one having been a surprise) healthy ... and, I hope, happy. Now, I'm only worried about the Pandora's Box medical science has opened and questionable physicians helped birth. 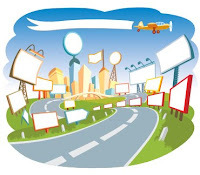 I was driving C home from daycare a couple of weeks ago when I was mesmerized by one of the millions of digital billboards that have illuminated our city in the last several months. If you haven't seen these billboards, they can change on a dime. That's the beauty -- and the potential horror -- of the whole enterprise. No more static images. Kind of like Forrest Gump and his box of chocolates, you never know what you're gonna get. My experience that night started out with an image of the innocuous Mickey Mouse holding a birthday cake and telling all of Los Angeles that they could go to Disneyland for free on their birthdays. "What's that? What's that?" C shouted and pointed from the back seat. "That's Mickey!" I said. "Look! Look!" Well, it was Mickey for a moment ... and then it changed. To something truly horrific. "Don't look! Don't look!" I found myself shouting. Anyway, I wrote about the whole experience on LA Moms Blog. They posted it this morning, so I hope you'll have a look and enjoy reading. Does my baby really need a BlackBerry? So LeapFrog just unveiled their latest baby gadget -- a Text & Learn personal digital assistant for tykes ages 3 and up. It won't hit the States until this summer, but already I'm worried that my daughter, if I buy her this thing ($21.99 vs. $200+ for the adult version BlackBerry or iPhone), will start wanting to Baby Facebook or Baby Tweet. And where do we go from there? Emailing, texting (God forbid sexting), twittering, MySpacing. Heck, what if she starts her own blog? What'll I do then? Seriously, this piece of machinery is geared to help kids learn the alphabet and foster mad computer skills. And it's certainly an alternative to having your own grown-up gadget poked, prodded and possibly thrown in the garbage never to be dialed up again. Oh, wait, all of which could happen to this one, too. But, as the Daily News points out, at least they won't be able to call Australia. Wanted to give a shout-out to my Variety friend and colleague Jon Weisman, who just moved his much-beloved Dodger Thoughts blog over to the Los Angeles Times. You can now read him here. Jon's been covering our L.A. sluggers for seven years at Dodger Thoughts and is also the author of 100 Things Dodgers Fans Should Know & Do Before They Die, which will hit stands in April. He's still keeping his day job at Variety, where he's a features editor. Congrats, Jon! The Times just got better. This weekend, Ian and I summoned the courage to start potty-training C.
-- "Let your child set the pace." OK. Not in a real hurry, anyway. 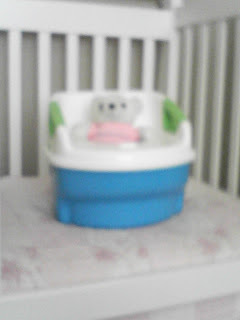 --"Encourage your child to get used to the potty and suggest that he may enjoy sitting on it. Tell him it's okay to sit on the seat with his clothes on." Actually that's what she did before taking the small (clean, unused) bowl and running around the apartment waving it and laughing. Much to her mother's dismay. --"Let your child move the trainer to another room if he wants to, and sit on it while watching TV or playing." TV?! On the potty? Isn't that setting, like, terrible Homer Simpson habits? And yes, it's still clean. Still unused. But got a little grossed out when she brought it into the bedroom and put it on her bed. --"Children can also practice by placing a doll or stuffed animal on the potty or by sitting on the potty while holding a favorite toy friend." 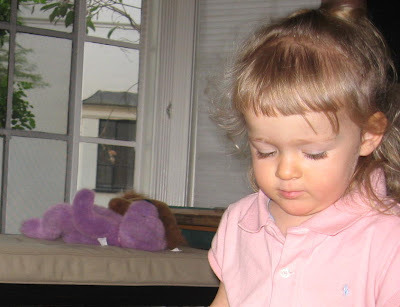 First, Daddy cutting bangs and then Mommy trying to "even" them out: Priceless.